General Motors Co. today announced its GMC Sierra CarbonPro Editions will be available at select dealerships this summer on the Sierra Denali 1500 and the Sierra AT4 1500. The CarbonPro bed is made of carbon fiber composite and delivers dent, scratch, and corrosion resistance. The bed weighs 25 percent less than a traditional steel bed, removing about 60 pounds of vehicle mass. Its grained surface also eliminates the need for bed liners and doesn’t need rear wheelhouse liners. It increases the Sierra’s roll-formed steel bed by one cubic foot and features indentations designed for of dirt and street bike tires. Two additional tie-down locations are installed at the front of the bed. Validation testing included dropping large loads on the bed, testing corrosion, driving a snowmobile with metal studs onto the bed, temperature testing, and high-heat exposure testing. 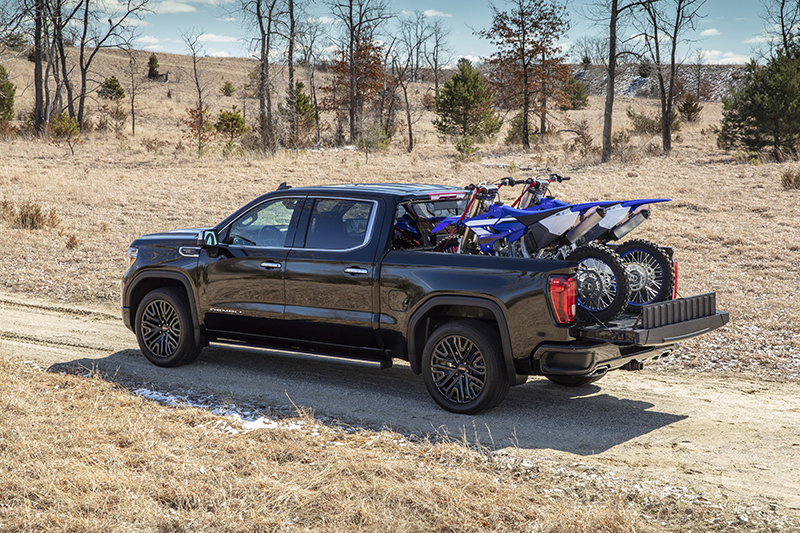 The 2019 GMC Sierra will also offer an available ProGrade Trailering System with an in-vehicle trailering app that offers a connected suite of trailering technology. A rear camera mirror and a 15-inch diagonal head-up display are also available. The GMC Sierra CarbonPro edition will make a limited debut for the 2019 model year. It will be available in greater quantity on both trims for the 2020 model year.